Then there are those who need multiple medications for other illness, chronic disease and the like. Walking into a pharmacy can be a headache and I'm not talking the pounding temples kind, I'm talking the "10 tablets cost what??" kind of headache. Whether you are looking to find medications at a good price, vitamins, weight loss supplements, creams or ointments, bandages, shampoo, toothpaste. 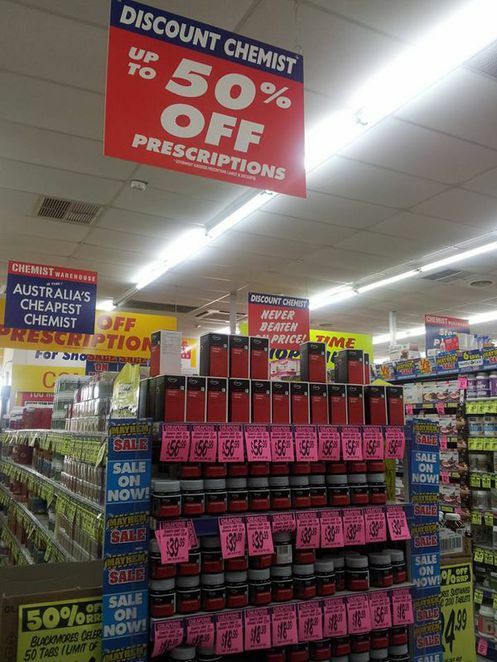 Chemist Warehouse in Hoppers Crossing can help you out and at fantastic prices. There is something for everyone, be it something you require for your medical supplies or treatment, your dietary supplements, nappies and formula for the smallest family members, make up and perfume for the ladies or men's fragrance. Plenty to look at and plenty of variety. 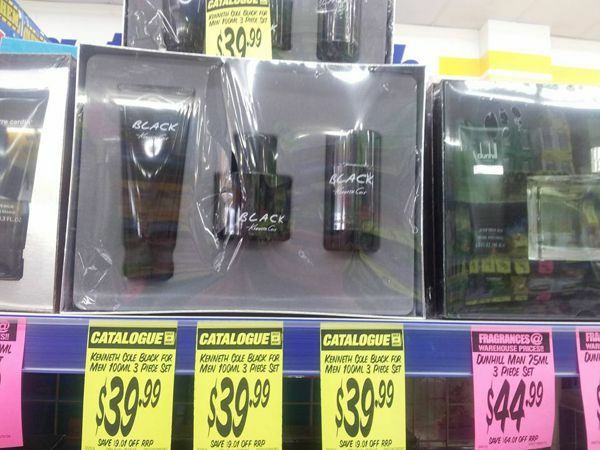 They are part of a large chain of Chemist Warehouse stores around the country and advertise themselves as being "Australia's cheapest chemist". With 50% off prescriptions (PBS subsidized Medications not discounted) the store is a one stop shop for your family's healthcare needs. They have a nifty little extra if you go to the website HERE - where you order your prescription online and then send them the original prescription by post and then they deliver your medication via Australia Post. 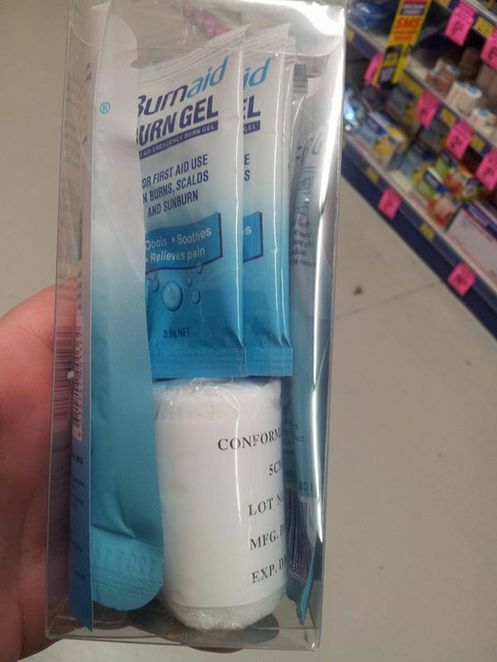 Great for those who cannot get there for whatever reason. Just don't forget to get organised in plenty of time so you don't run out of medication. The Hoppers Crossing store doesn't look like much from the outside, but once you walk through the door you see plenty of colour and many friendly faces and everyone has to love the giant signs advertising cheaper products, right? 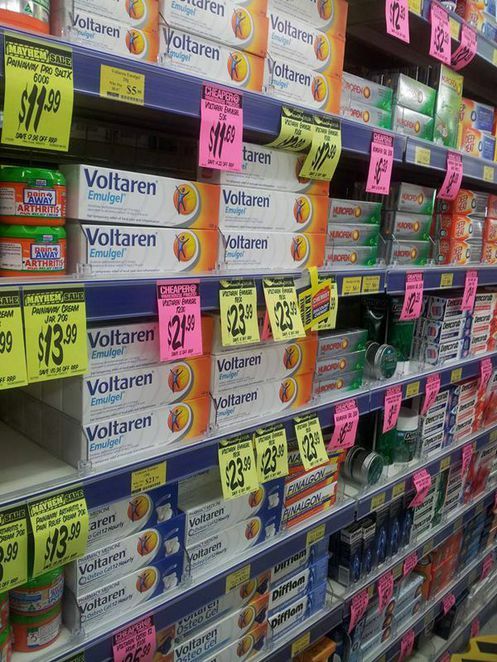 Some pharmacies can be small and cramped with not much room to move. The Hoppers Crossing Chemist Warehouse is well laid out with wide isles giving plenty of room for wheelchairs and walking frames. The store is kept clean and well organised. If you are not able to find what you are looking for, ask a staff member - they are always more than willing to give you a hand. One thing I love about the store is the little buzzers. Drop off your prescriptions at the counter and they give you a buzzer. You are then free to wander around the large store in search of other things you are needing, or to browse the deals they have going. When your medication is ready, the buzzer will go off in your hand and you go and pick it up from the counter. How awesome is that! No more waiting in line for what seems like an eternity. Situated just 10 minutes from Werribee plaza and 5 minutes from Werribee Mercy Hospital (without traffic) the Hoppers Crossing store is convenient and sure to leave your wallet just a little lighter than a large medication pick up usually would. I'll have to take a trip here one day!